Many dermatologists would say that your diet has an effect on your skin, thus watching what you consume may be helpful to keep your skin clear. However, it is essential to note that food is only one of the many factors that may affect the skin. 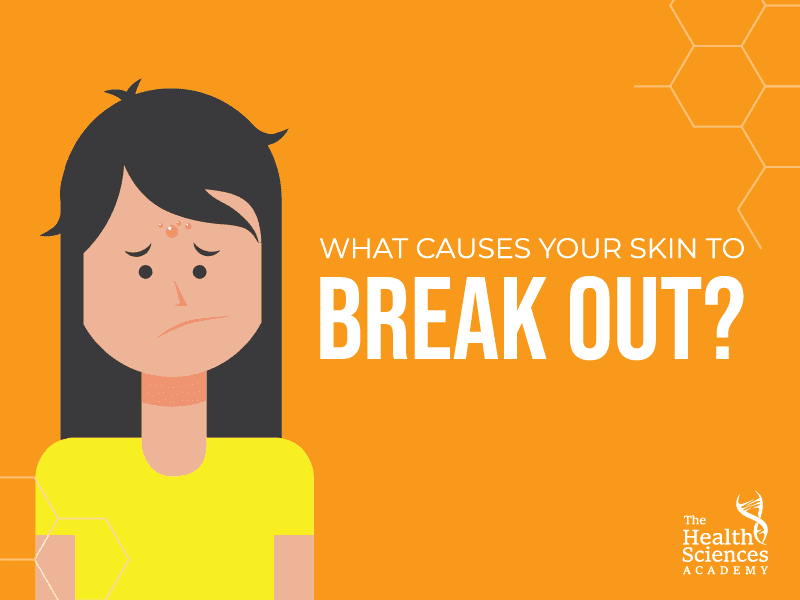 Acne can stem from hyper-keratinisation, a process by which keratin hardens and causes a clog over the opening of a pore. In this process, dead skin cells and keratin bind together, causing blockage to the oil glands and pores, hence trapping the sebum under the skin. Bacteria may also have a part in this, worsening or prolonging the condition. When it comes to skin renewal, the foods that you eat may play an important role. Since the skin is part of the body and the body requires nutrients to function well, so does your skin. Your skin needs an adequate amount of vitamins and nutrients that you can get from foods in order to repair and rebuild itself. What should you be eating to increase the chances of getting a healthier skin? The skin needs plenty of vitamins such as vitamin C, E, and A, as well as protein and zinc. Fortunately, there are plenty of foods that are rich in vitamins and other nutrients that may deliver wondrous benefits to your skin. Oily fish tends to be rich in Omega 3 fatty acids, which may not only be good for your skin but for your overall health and brain function, too. These fatty acids may help to retain the moisture in the skin, whilst keeping it supple. Oily fish such as salmon is also a good source of Omega 3 and it also contains vitamin E, which is one of the most essential antioxidants for the skin. Fish also contain protein that helps with the structural components of the skin, as well as zinc to boost the production of new skin cells and regulate inflammation. This type of nut is not only rich in Omega 3, but it also contains different vitamins such as vitamin C and E, as well as selenium, protein, and zinc, which is necessary for wound healing. Carrots are a good source of beta-carotene. Also present in sweet potatoes, watercress, and melon, this essential nutrient acts like a natural sunblock from within skin cells, as it can absorb UV light. Research shows that it takes several weeks for its protective effects on the skin to appear. In addition to protecting skin cells from sun exposure, beta-carotene may also help in delaying the appearance of wrinkles from photo-damage. Similar to carrots, red or yellow bell peppers also contain beta-carotene. The difference is that this vegetable also contains vitamins C, an important antioxidant for the skin. Vitamin C also helps with the production of collagen, a protein that gives skin structure and suppleness. Soy contains isoflavones – phytochemical compounds that may carry some skin antiaging benefits. For example, research has shown that eating soy every day for a couple of months may help improve fine skin wrinkles and elasticity. Isoflavones may also help protect skin cells from harmful sun rays. These are just some of the foods that you might want to try to incorporate in your diet as they may help improve the skin. Now that we have some of the best foods for the skin sorted out, there are also foods that may have a negative effect on the skin. Not everyone is sensitive to dairy. So this may only apply to those who notice a skin breakout following the consumption of dairy products like cheese, cream, milk, and butter. One possibility of dairy leading to acne is the stimulation of certain hormones such as IGF-1 in the body from its consumption, which may indirectly trigger acne. Another theory is being lactose intolerant, with this being prevalent in about 65% to 75% of the population. Amounts seem to count too, with lower intakes being less likely to result in breakouts for some people. Consuming too much vegetable oil may create an imbalance with Omega 3, which could lead to inflammation and skin disorders. This is because vegetable oils like sunflower oil, corn oil, and canola (rapeseed) oil are rich in Omega 6 but low in Omega 3. We humans evolved on a healthy Omega 6 to Omega 3 ratio of 1 to 1 (one gram of Omega 6 per gram of Omega 3), whereas the ratio that most people consume today is a less healthy 20 to 1. Maintaining a healthy ratio of Omega 6 to Omega 3 is important and so is balancing your intake of vegetable oils. Excessive sugar consumption may promote faster skin ageing by damaging the skin’s collagen through the process of glycation and the formation of AGEs – advanced glycation end products. To reduce the chances of this ‘skin sag’, a low-glycemic diet can help. The glycemic index measures how quickly a meal spikes blood sugar, with foods like cakes, juices, pastries, ice cream, and breakfast cereals being high-glycemic. So if you are craving something sweet, you may want to eat a low-sugar, low-glycemic meal instead, filled with high-fibre fruits, vegetables, or legumes (pulses). To put it simply, although foods may not directly affect your skin, they still play an important role in it. Keeping a healthy and balanced diet may not only help improve your skin health but your overall wellness as well!